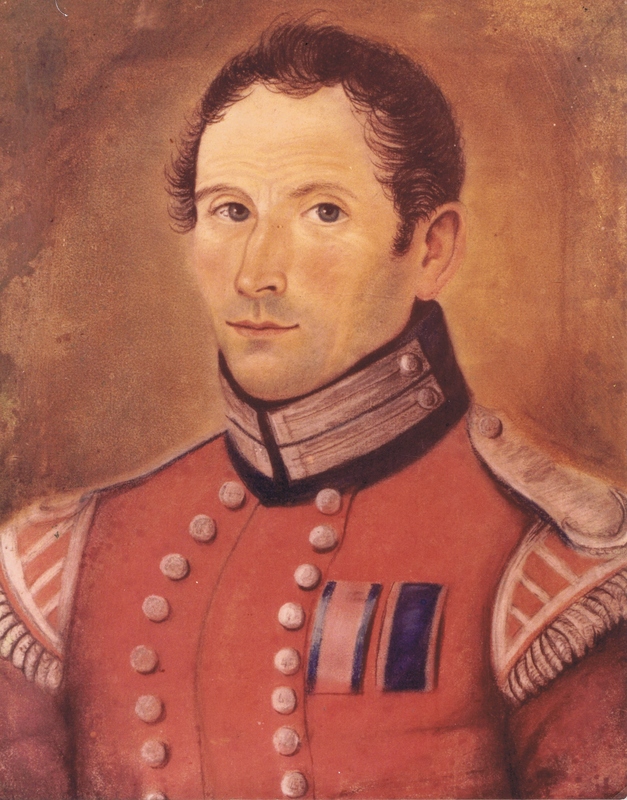 In the run up to the 200th Anniversary of the Battle of Waterloo, find out more about one of our best contemporary sources on the period – Quarter Master Sergeant James Anton, 42nd Royal Highlanders. Anton was born in Huntly, in Aberdeenshire, possibly the son of a school mistress, though this is not certain, and became a weaver by trade. In April 1803 he enlisted in the Aberdeenshire Militia, before volunteering at Dalkeith on 6th May 1812 into the 42nd. He was then posted to the 2nd Battalion who were at that point stationed at Inverness. His previous experience with the militia served him well as he stayed a private soldier for only 37 days before he was promoted to Sergeant. During this period he married Mary Macduff of Inverness. QMS Anton was discharged as a result of chronic rheumatism. He was awarded a pension of 2 shillings and 1 pence a day and awarded the Military General Service Medal with clasps for Nivelle, Nive, Orthes and Toulouse, as well as the Waterloo Medal and the Long Service and Good Conduct Medal. QMS Anton lived for another thirty years before finally dying on 11th December 1863 of ‘natural decay’ at the age of 75 years and 7 months. At the time he was living at Number 2 Toll Cross Edinburgh, and left behind his widow, Mary. Anton was the author of Retrospect of a Military Life, a memoir of his time with the Black Watch, which remains, arguably, our best source for the Peninsular and Waterloo period. This entry was posted in Artefacts and collections, Waterloo 200 and tagged anton, medals, Quatre Bras, Waterloo, waterloo medal, Waterloo200. Bookmark the permalink.